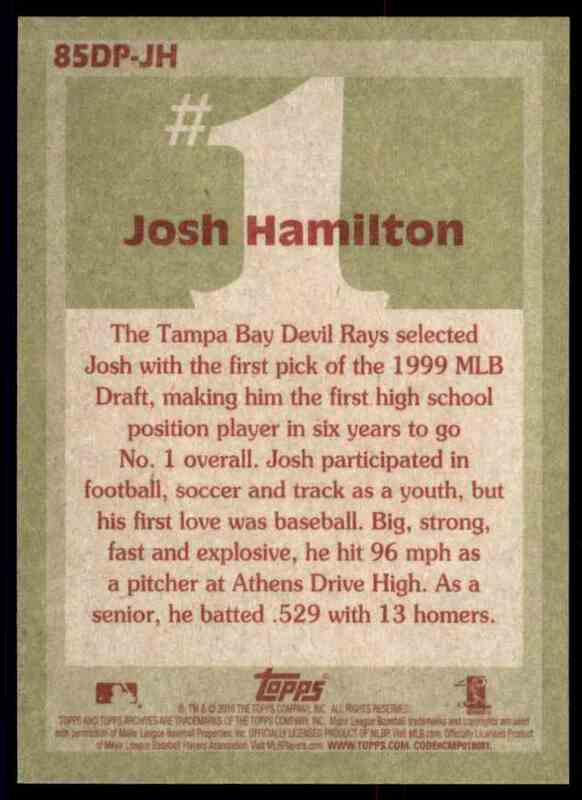 This is a Baseball trading card of Josh Hamilton. 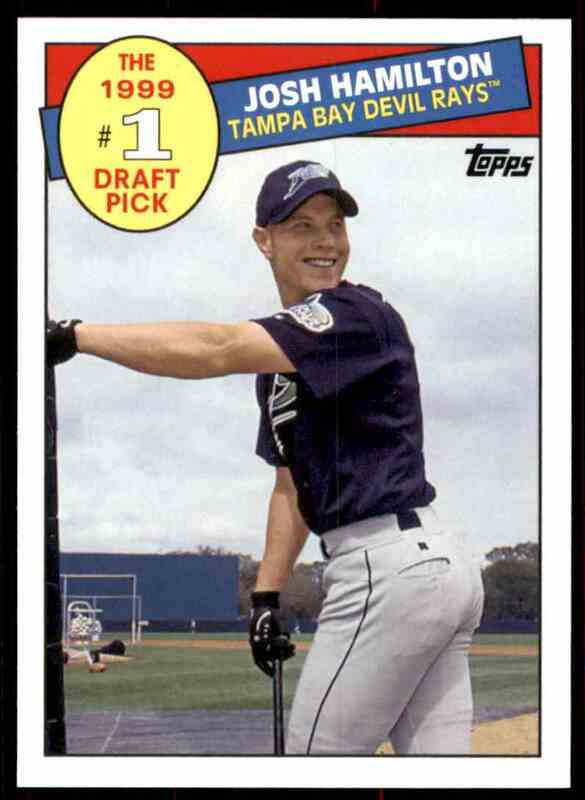 It comes from the 2016 Topps Archives '85 Topps #1 Draft Pick set, card number 85DP-JH. It is for sale at a price of $ .60.